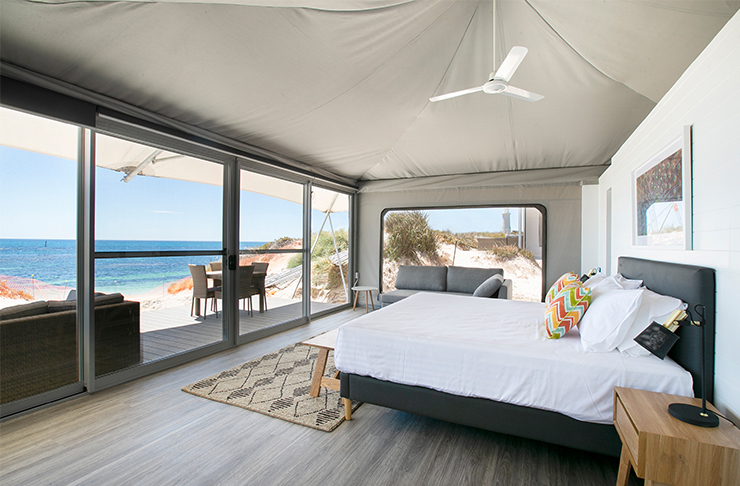 Rottnest's glamping eco retreat, Discovery—Rottnest Island, opened with a bang in March. A collaboration between Discovery Parks Australia and Baileys Group, the eco-retreat is set behind the dunes of the beautiful Pinky Beach and includes a pool, licenced restaurant and bar. The 2.8-hectare development is equipped with 83 luxury, fully kitted out eco-tents, complete with ensuites, pillow-topped mattresses and decks, because it wouldn't be glamping without these creature comforts. 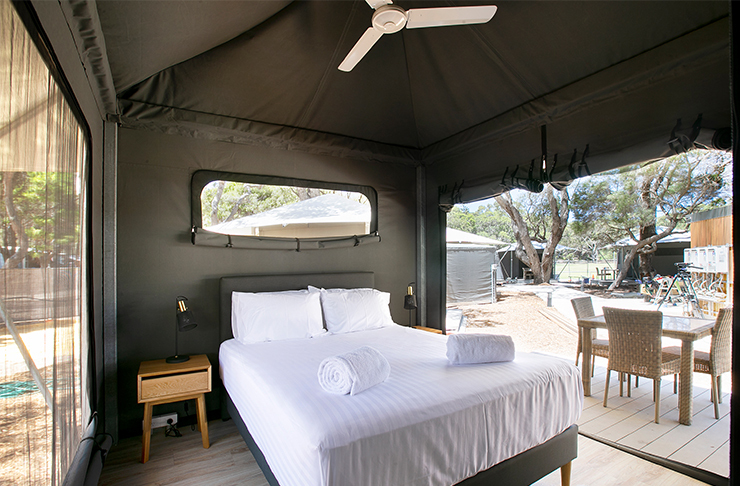 Tucked into natural surroundings, there are four types of tents available: Base Camp with all the basics, Tuart with a kitchenette and private deck, Family with a separate annexe for kids and Dune with the whole shebang plus ocean views. 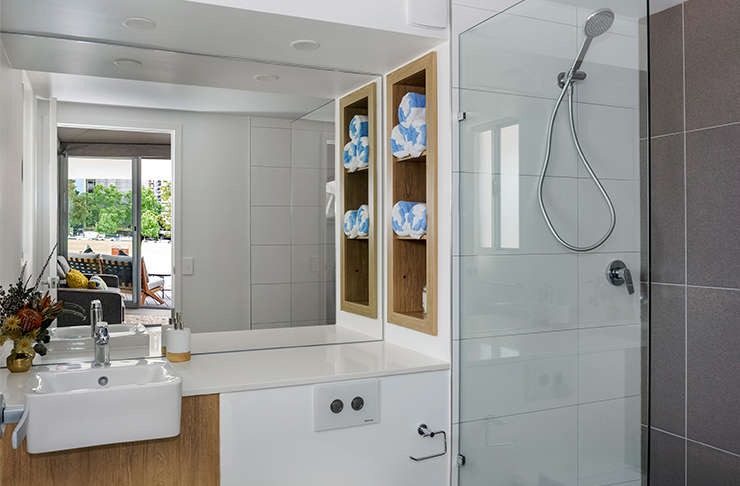 Linked by walkways and boardwalks, Pinky's Beach and The Basin are easily accessible, and all accommodation includes WIFI, access to BBQs, concierge and laundry services and secure bike port facilities at each tent. Pinky's Beach Club is home to the licensed restaurant and bar that's open to glampers and day trippers. Open for breakfast, lunch and dinner, the open-air venue serves locally inspired dishes alongside WA wines, craft beers and cocktails. There's even a special pink drink menu. And in case all of that isn't enough for you, the property houses a 30-metre resort-style pool for the exclusive use of guests, kitted out with a pool bar, sun beds and umbrellas. Pinky's Eco Retreat is already booking out fast, with prices for low season starting at $119 a night, check their website for rates. For more great local escapes, click here.